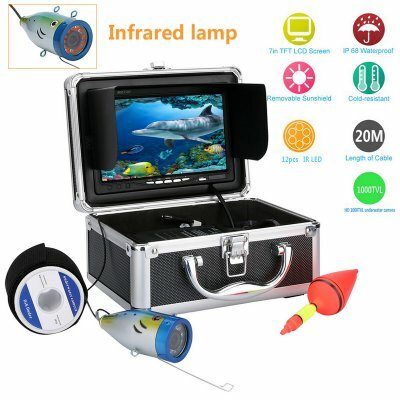 Successfully Added Underwater Fishing Camera - 7 Inch Monitor, 20m Cable, Hard Carrying Case to your Shopping Cart. Until recent, fishing cameras were not accessible for a broad audience but thanks to Chinavasion, these are now available at an all-time low price. Brought to you by the leader in wholesale fishing and outdoor gear, Chinavasion. 8. LED Five-gear brightness adjustment.